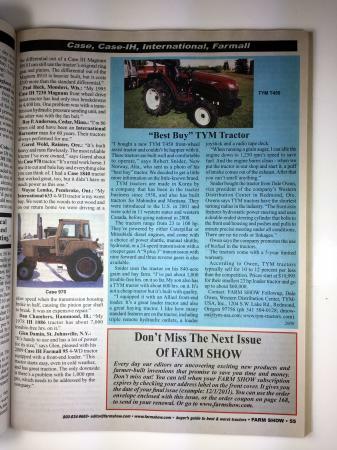 This great 168-page book features 34 years of tractor owner reports from FARM SHOW, all sorted into categories by brand. 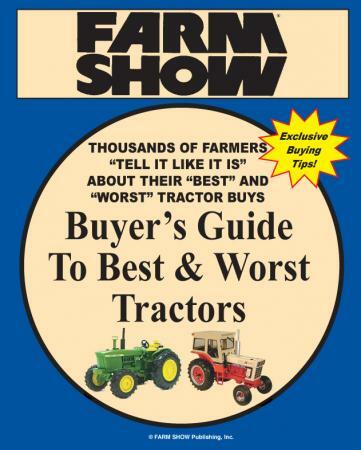 Thousands of farmers "tell it like it is" about their "best" and "worst" tractor buys. Charles Myers, Zanesville, Ohio: "My best buy is my 1970 Deere 4020 diesel that I bought new. It now has 28,018 hrs. on it without ever overhauling the engine," says Meyers. "We still use it every day around the farm to power a TMR mixer to feed 700 dairy cattle." Don Walkenhorst, Ogallala, Neb. 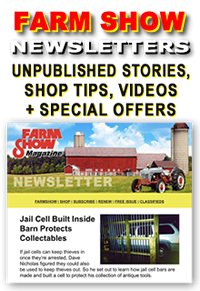 : Don has had problems with the air conditioning in his 1994 Deere 7600 that he bought new. "The cold air comes out below your knees nice and cool but the rest of your body swelters. On hot days you've got to quit by noon to keep from roasting." Patrick Carroll, Melbourne, Quebec: "Belarus tractors are low-priced junk," says Patrick who owns a Belarus 500. 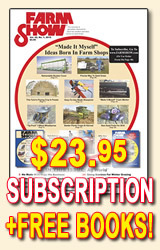 "Everything shakes and rattles including the hood latches, the brake pedals, the toolbox cover and the drawbar hitch. They are crudely made and awkward to service. The sitting position is terribly hard on your back. 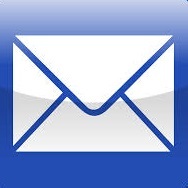 In my opinion, what little money you think you save in no way makes up for the headaches and backaches." 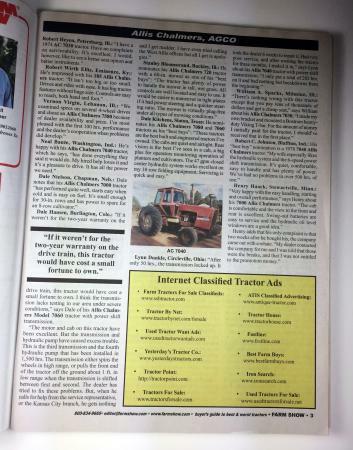 Marvin Vlietstra, Kalamazoo, Mich.: On the "worst buy" side, he lists his 1999 Deere 8100 MFWD tractor. "It's a nice tractor with an excellent engine. But the armchair controls on this tractor are the pits. Because of their poor design, I've come close to getting into serious accidents. The transmission control makes it hard to distinguish between park and reverse. The rocker switches that operate the hydraulics are awful, and the instruments mounted on the side are hard to notice." Larry Mills, Pierre, S. Dak. : Mills is an insurance investigator who came across four suspicious tractor fires in Ford-New Holland bi-directional tractors in 1996. After looking into the problem for two years, his investigators determined that the fires originated in wiring that runs through grommets in the cab and engine compartments. The grommets work loose, leaving the wiring up against bare metal. If the insulation gets rubbed off, an electrical arc can burn through fuel or other lines.